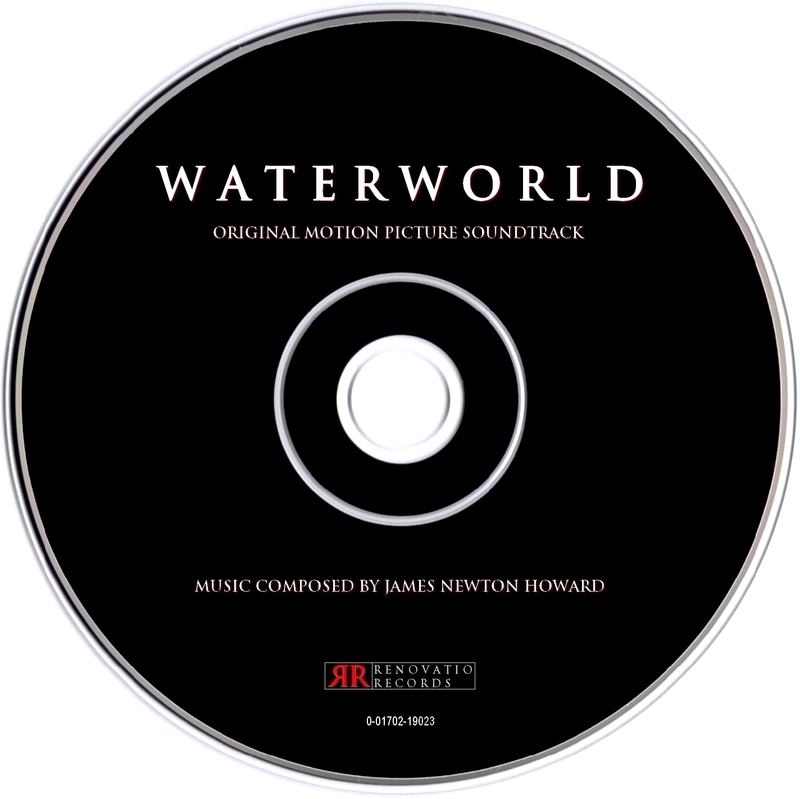 Renovatio Records presents you the score for Waterworld composed by James Newton Howard. This sci-fi adventure directed by Kevin Reynolds and starring Kevin Costner, Dennis Hopper and Jeanne Tripplehorn was one of the most expensive movies ever made and takes place in a distant future, in which polar ice caps have melted and the land masses of the world have been swallowed up by the rising seas. Human beings have seen themselves force to live on boats and manmade atolls, unaware of the remnants of the civilizations resting at the bottom of the ocean. Costner plays the "Mariner", a mutant drifter that has developed gills (thus being able to breathe underwater) and that is participating in the search of legendary dry lands. Hopper plays the leader of the Smokers who pillage and break havoc on the high seas. Though at the time of its release, the film was a box office bomb and received overwhelming negative reviews, recent appreciation for it has grown from critics praising its editing, sound, cinematography and music. 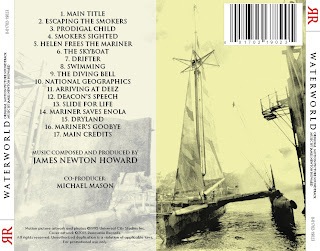 Composer Mark Isham was signed to composed the music, but his work was dismissed and James Newton Howard was brought on board to write an emergency score, one that would become one of his signature works of the nineties, earning him the reputation of a solid action film music composer. 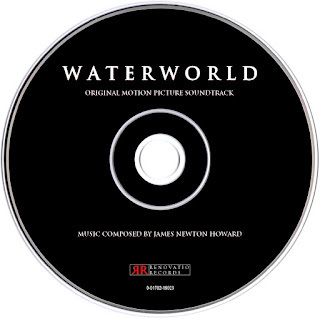 Howard expanded several ideas already introduced in Outbreak, a score that many consider it to be Waterworld's baby brother. 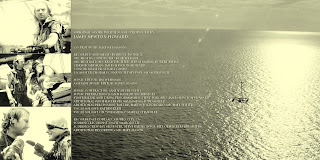 The result is a bombastic action score with powerful passages from beginning to end. 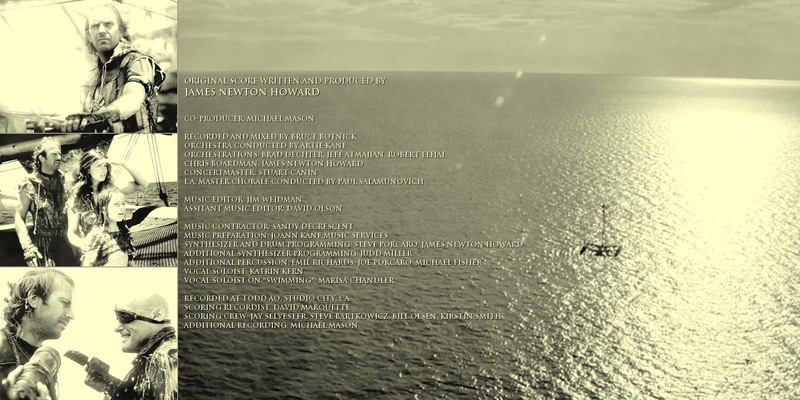 Howard introduces two main themes: a heroic breathtaking piece for the mariner and a humble and soft motif for the mystical elements of film. 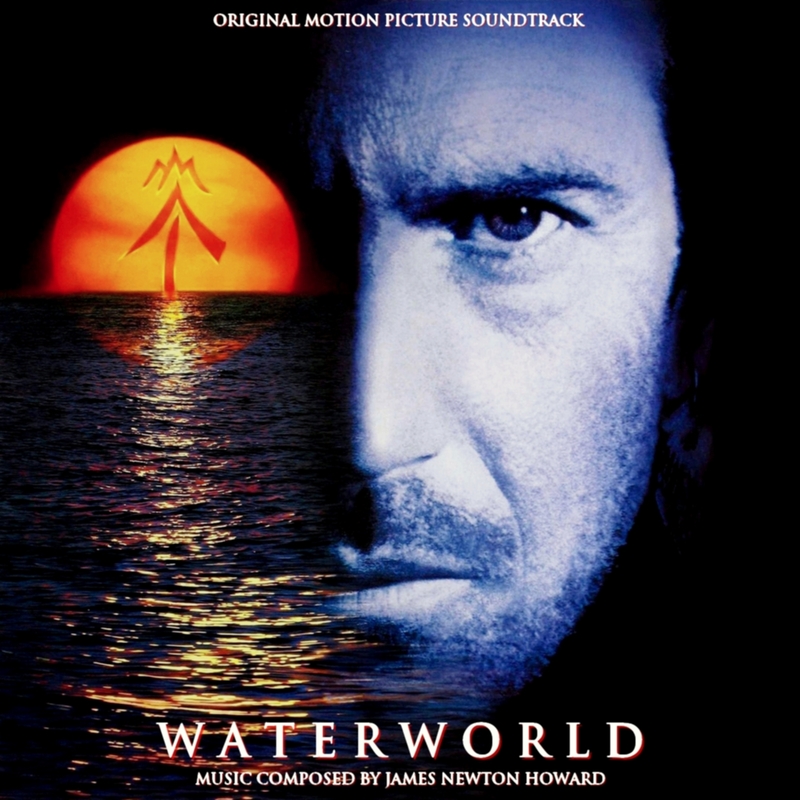 The score is mainly orchestral, but Howard also manages to make use of the magnificent L.A. Master Chorale to great extent and engaging synthesizers, resulting in an incredibly enjoyable piece of work, filled with numerous highlights. 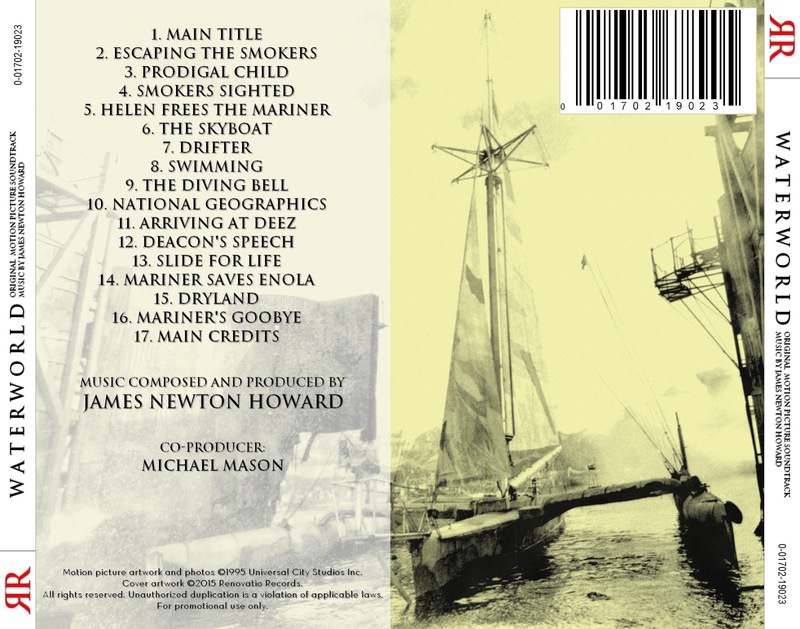 The score was released in 1995 by MCA Records in the form of an album that contains virtually all the greatest moments from the score, but its length and misplaced order of certain tracks make it a rather flimsy presentation of Howard's work. Now, Renovatio Records has stepped in and arranged a new compilation that hopefully will elevate your listening experience and remind you of some of the best cues Howard has composed in his entire career. 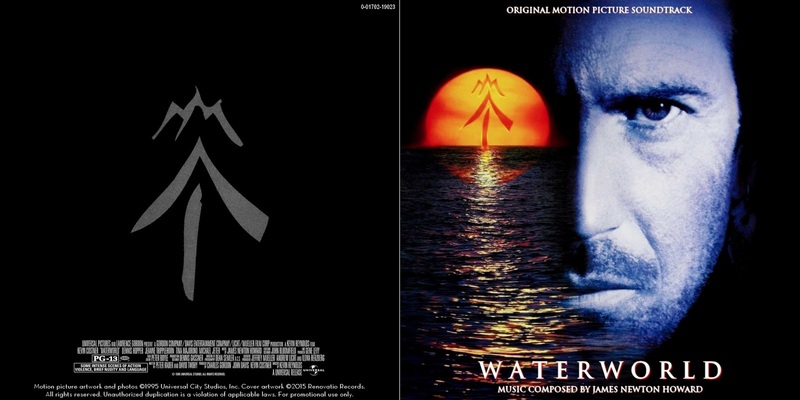 Guaranteed, once you've finished listening to Waterworld, you won't be able to stop humming that incredible main theme! !